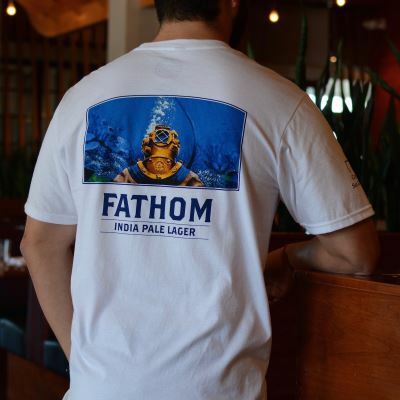 Lager meets IPA in a winning combination. 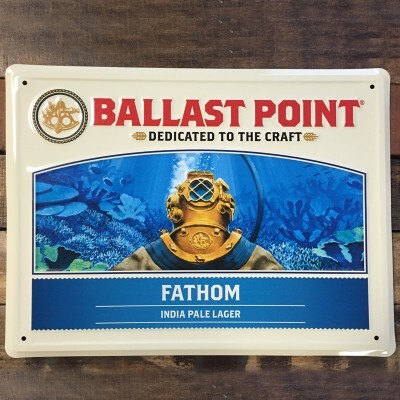 Our Fathom India Pale Lager combines time-honored lagering techniques with the hop profiles of a West Coast IPA recipe. The cold-fermenting lager yeast provides a clean base that allows the citrus and pine aromas from the hops to really shine. The result is a gold medal beer with a refreshing, easy drinking character and just the right amount of depth. From Anonymous of Holmen , Wisconsin on 8/26/2018 . Great color and design. Excellent price! From Dan Miller of Wilmington, Delaware on 3/15/2018 . Really enjoy the shirt. The colors and graphics are awesome. A word of caution, buy the next size up and be real careful when you wash. SHRINKS! From Anonymous of Hudson, Ohio on 2/11/2018 . Great quality , great design , great beer.